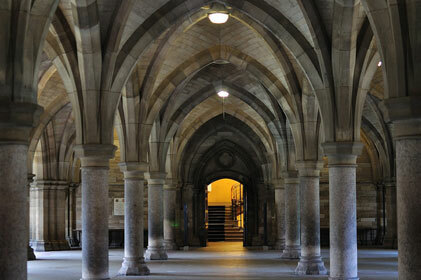 The University of Glasgow has been criticised for refusing to consider agencies with an annual turnover of less than £10m for a PR brief. The university is seeking a consultancy to develop an integrated external affairs, comms, PR and marketing strategy, to underpin a new fundraising campaign. But the pre-qualification questionnaire requests evidence of a minimum turnover of £10m, which no Scottish agency can deliver. The Scottish agency with the largest turnover is The BIG Partnership, which has a turnover of £7m, according to the PRWeek 2009 Top 150. Glasgow-based Media House International executive chairman Jack Irvine hit out at the exclusion of Scottish agencies. He said: ‘The university will try to wriggle off the hook by suggesting that this is a global fundraising campaign. ‘However, it should read its own brief. Its goal is to "deliver a world-class campaign that significantly raises the profile of the university". That in turn, it hopes, will generate increased income. A university spokesman explained the criteria: ‘The purpose of the European tender rules is to open the competition up in this manner, or in other words, it is illegal for us to appoint locally unless that local appointment wins the tender.